YNX Goes 2 The Jungle (Give It 2 Get It #23 Review) – Yannix(Thailand)Co.,Ltd. Saturday, January 19, marked the first Give It 2 Get It event of 2019 (G2G#23). 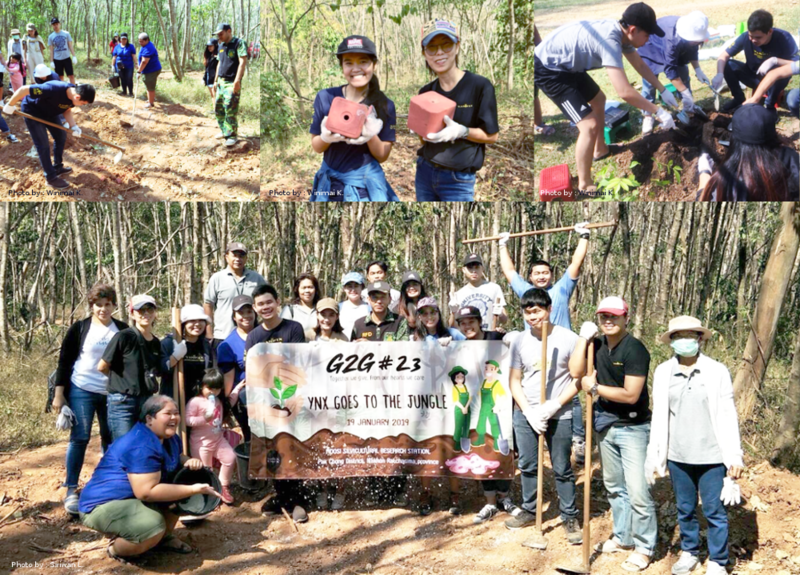 Yannix volunteers visited the Moosi Silvicultural Research Station in Pak Chong District where they were instructed on the management of plant/seed preparation to promote the sustainability of the forests of Thailand. Volunteers made artificial salt licks to provide essential mineral supplementation for the wildlife in the area. Yannix thanks our hosts for the day: Mr. Ticha Laohaboot (Head of Moosi Silvicultural Research Station), and Miss Kemika Konthongmat (Coordinator) for their time and efforts to educate our volunteers regarding the wildlife and plant life in the region and the work that Moosi Silvicultural Research Station does on a daily basis.